Corporate Job Bank is the largest locally owned staffing agency in Arizona. We have earned the coveted Platinum Ranking from AZ Business Magazine and have been recognized regionally by The Phoenix Business Journal for both Professional Placement and Temporary staffing services. Whether your needs are for Temporary staffing from light industrial to administrative, Executive Recruiting and Professional Placement for senior-level talent in Finance, Mortgage, Corporate Job Bank has proven methods to efficiently and costs-effectively meet your needs. 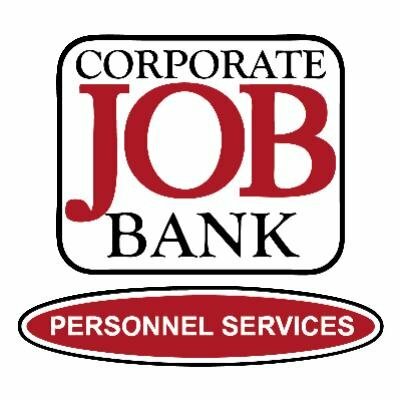 Corporate Job Bank is the largest locally owned staffing organization in Arizona. We’ve been recognized regionally for our stellar service for nearly two consecutive decades. Since 1985, Corporate Job Bank has been dedicated to making smart placements that are a match for both employer and employee. Contact us today to find out how we can make the difference for you.